Today, part II of my emailed interview with Amy L. Sommers (part I, here). Ms. Sommers is an American lawyer with Squire, Sanders & Dempsey, and the co-author – along with Kara L. Philips of the Seattle University Law Library – of a 2009 Penn State International Law Review article examining the historic and legal background for the decline and disappearance of Shanghai’s classic residences and neighborhoods. Her thoughts are particularly relevant at a time that Shanghai – home to East Asia’s last abundant stock of pre-World War II neighborhoods – is holding a World’s Fair devoted to examining what makes a better city. In today’s segment, she touches on her background, some interactions with individuals who were still occupying properties seized during the Cultural Revolution, and her outlook for Shanghai’s historic neighborhoods. Shanghai Scrap: Could you walk me through how you became interested in historic preservation, and the legal and historical issues surrounding it in Shanghai? Sommers: My interest was piqued probably over a decade ago when I came across a piece in the Far Eastern Economic Review (remember how great a news source it was on China in the 90’s?) about how some Shanghainese and returned Shanghainese were recouping houses lost in the Cultural Revolution. The descriptions of the residences sounded marvelous and incongruous with the massive new buildings I was seeing whenever I was in the Mainland (at that point, I was still based in Seattle and visiting China on business). 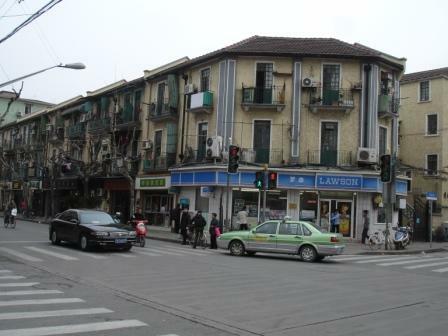 Fast forward to 2003 when I worked in Shanghai on a two month assignment for a client facing a nasty criminal Customs investigation and my younger son was attending a nursery school in a converted large lane house in the former French Concession. Walking down the lane and seeing all the other houses, which had such great bones, despite their dilapidation and the fact that they had been rigged into multi-family residences, caught my attention. As a lawyer, this raised up all sorts of questions as to how this had occurred (had a government order been promulgated? if so was it at the national level or was this a Shanghai-only phenomenon? and as a buyer, how would you know who owned the house and had the rights to sell it to you?). My husband told me that I ought to write an article about the topic and that got me me going (and I then prevailed upon an outstanding research librarian and fellow China law geek, Kara Phillips, to collaborate with me on digging into the issue). Shanghai Scrap: Your official bio indicates that you’ve done significant work in Chinese real estate – have you ever become involved in one of the complicated usage/ownership rights conflicts that you discuss in the piece? 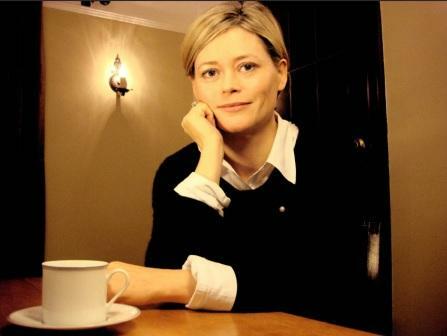 Sommers: The professional real estate work I’ve done in my China practice has focused on large-scale commercial projects, but in looking for properties for personal investment, I’ve come across a couple where the title issues presented by the project made us shy away from investment. One was an Art Deco villa in the former French Concession to which the Army held rights and was looking at entering into a long-term lease of the rights. We considered acquiring the property with a friend who’s done considerable investment in the old housing market, but there was a retired general who had refused to vacate and working around him didn’t appeal, no matter how fabulous the house was. 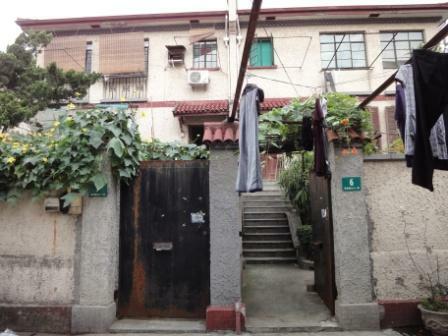 The other was an unusual Art Deco-influenced lane house off of Yuyuan Road. The owner’s grandfather had developed this small block of lane houses in the 30’s and her family had been able to hold onto theirs throughout the following decades. 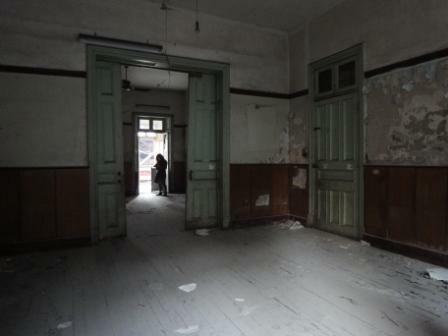 The house would have been great to refurbish, except for the minor detail that a resident who had moved into a first-floor sitting room during the Cultural Revolution, refused to leave. The owner showed me the title certificate, reflecting that she had full ownership of the entire premises, but nonetheless, this ‘tenant’ continued to hold onto the space allocated during the Cultural Revolution. When I asked the owner how this could be, she explained that all the other tenants who had taken up residence during that dark period had accepted the government’s offer of compensation and resettlement, but this one tenant was holding out for a better offer and despite being promised an apartment in Xinzuang (a distant neighborhood in the suburbs), the tenant wanted additional compensation and the government said there wasn’t anything they could do to oust the tenant. The owner tried to argue that we ought to buy the place and we would somehow be better positioned to evict the person, but I was skeptical and so we passed. Shanghai Scrap: For the Penn State article you interviewed several individuals with personal experience with property seizures that took place in the middle decades. I wonder – did you attempt to approach any squatters with usage rights? What was the reaction? Sommers: No, we weren’t able to identify individual holders of rights gained through squatting. My sense is that there’s a lot of shame around this topic. Those who were dispossessed — the ‘rightful’ claimants — don’t really even like to discuss it. When I tried to approach the Shanghai agency charged with getting the disputes associated with these properties sorted out and property returned to the rightful owners, in order to get some other perspectives on the situation, they wouldn’t meet with me. Despite the right to get back one’s property created by current regulations, at this stage, over 30 years after the end of the Cultural Revolution, that right of reclamation seems more theoretical than actual. 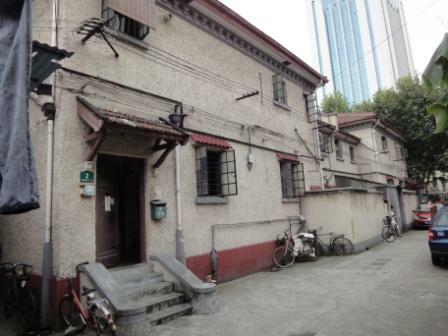 Shanghai Scrap: In the Penn State piece, you suggest a condominium model – shared rights – as a possible solution to the conflicts which lead to the poor upkeep of Shanghai’s old housing stock. Do you see other options? Sommers: The only option I see at this time is if the Shanghai government comes to perceive a quantifiable economic value associated with preserving the existence of a substantial portion of the city’s remaining historic housing stock. For example, Shanghai wants to be a tourist mecca — not only for Chinese travelers, but also for foreign visitors. The Western travelers who come to Shanghai are enchanted by the remnants of pre-World War II architecture that dot the city and wandering in the neighborhoods of the former French Concession is a highlight of their visits. How do we quantify that ‘charm’ factor so that the city officials perceive preserving historic neighborhoods as desirable, that is the key question. Shanghai Scrap: The inevitable question: are you optimistic? What are the odds that a significant percentage of the remaining old stock can be preserved in a manner that allows Shanghai to retain its historic character? Sommers: I’m afraid that at this time I’m not optimistic. In ten or fifteen years, I predict that Shanghai officials will perceive any remaining vernacular housing as a jewel of the city, but I fear that by the time that consciousness develops, it will be too late and what will be left will be dotted distinct exemplars of pre-WWII architecture, but not vibrant, living neighborhood groupings. This is where the absence of a strong community voice and action in public affairs in China is quite problematic. Seattle, where I grew up, had a marvelous, crazy-quilt of a farmers’ market (in fact, it is now the oldest, continuously operating farmers’ market in the United States) that clung to a steep hillside near the city’s waterfront. It was a maze, dilapidated, but full of old-time vendors of foodstuffs and when I was little, hippies selling macrame and operating healthy cafes with menus heavy on the beansprouts. Seattle’s urban planners wanted to tear it down in the 1960’s and build office buildings, a parking garage and hockey arena. There was significant opposition in the community and in 1971 an initiative was passed that made the market a historic preservation district. Today Pike Place Market is probably the city’s top tourist attraction and it remains a vibrant, working market and neighborhood. It would be marvelous if Shanghai’s city leaders could perceive the opportunity they have to attract visitors using the city’s historic architectural gems to lure them. Photo of Amy L. Sommers by Kevin Westenberg. This entry was posted in Architecture, Shanghai History by Adam. Bookmark the permalink. I disagree with the premise that this is ultimately the responsibility of the local govt. What would change the situation dramatically is if local Chinese buyers took more of an interest in rehabbing these buildings. Party officials obviously adore them (see party compound on Wanping Lu) but there seems to be a lack of appreciation among the Chinese economic peers of people like Sommers, ie a successful Chinese lawyer seems more likely to invest in a new luxury apartment than one of these. I hate to stereotype like this but I think I’m generally right. When an appreciation for these kinds of residences becomes important among young professional tastemakers then and only then will the sitaution change. Might be too late then. In response to the above commentator, I find this to be more of a chicken and egg situation. If there was an incentive or effective legal route (as discussed by Ms Sommers above) that would allow interested parties to refurbish and raise the real estate value of the old residences, I imagine that the eventual trend of beautified old housing will appeal to the younger generation and even the profit driven to cater to this crowd. While it is true that a young Chinese professional would prefer a new housing estate with functioning utilities, but we also note many young Chinese returnees from abroad have been influenced and interested in reconnecting with their history. Living in a refurbished old residence is one of a few ways. Many of these returnees would have the money but lack the capacity to wrestle with local laws. Many residents who are unfortunate enough to live in run-down longtangs (and I sympathize their efforts to move on to better environs) tell me, proudly, that the government can always “rebuild” these old houses. The terrifying truth is that he is right. Has anyone been out to the suburbs west of Xuhui? They’ve built lovely old-style bridges and temples like in Suzhou that surround modern housing estates. That’s paradise for many locals. The government has been able to massage history, so why not recreate historical buildings? Given that there is no momentum (and legal space) for grassroots lobbying, the onus then falls on the local government to recognize the importance and value of preserving not just old residences but create an environ for such communities to flourish. The cynic in me recognizes that, if the government officials can only view this situation via the prism of real estate value and commercial progress, then I don’t see why laws cannot be adjusted to accommodate private takeovers. It is more fiscally prudent in the long-term to resolve/ create laws (including this whole gerrymandered ownership laws as Ms Sommers aptly described in her journal article) to pass on preservation costs to individuals and responsible developers. A Shanghainese photographer (www.shanghaimage.com) who is dedicated to archiving all the old neighbourhoods in Shanghai once told me that the next generation of Shanghainese (and Chinese at large) will likely grow up without experiencing what a longtang is. They would instead visit Xintiandi, Tianzifang and I imagine other Disneyfied versions, including the upcoming Sinan Mansions and learn its history like any other tourist. Soon, we will just be left with expensive coffee book photography books on longtangs. I would add a caveat that there have been refurbishment and preservation efforts conducted by the government and more sophisticated developers. I dare anyone to say they do not at least appreciate the restoration of Bund starting on the North side. But it’s not enough; the scale of preservation efforts has to match Shanghai’s fierce ambitions for 2020 (to be an international financial/shipping city). I understand it is not completely fair to expect Western-style standards of sustainable living in an emerging economy like China, but if not now, when? * Apologies for length, Adam. I also enjoyed Ms Sommer’s article, the footnotes are most fascinating. It is nice to see blog presenting quality instead of ranting. Thank you for introducing us to Sommers. I learned something. Great information – my father served in the Navy in the 1940s, and was stationed in Shanghai – he enjoyed his stay there so much, he brought home a piece of it – my mom. I’ve been to China, but never to Shanghai – one day!